Górka presents the theory of two-sided markets that create value (indirect network effect) by connecting two distinct groups of agents, e.g. card payers and card payees. This chapter characterises conditions defining two-sided markets and market failures which can arise there. It also deals with economics of interchange fees. Górka explains the modus operandi of four- and three-party card schemes, their business model, inherent fees, and how they are set. He illuminates the role of interchange fees according to Baxter’s model and its later refinements. This chapter includes discussion of the optimal level of interchange fees maximising the joint welfare of consumers and merchants (see the “tourist test” of Rochet and Tirole). 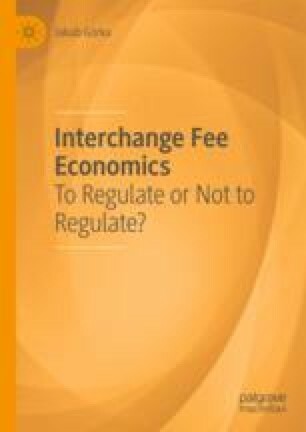 Górka develops the conceptual framework for assessing the impact of interchange fee regulation.